The Chargers (5-7) will take on the Carolina Panthers (4-8) this week in a game between two teams who haven’t lived up their expectations this season. Like the Bolts, Carolina has been trying to climb out of a 1-4 start to the season and has looked completely different from the team that finished the 2015 regular season 15-1. Both teams are highly unlikely to make the playoffs, although they each still have a small chance if they win the remainder of their games. After struggling last week against a good Tampa Bay defense, the Chargers offense has to figure out how to be effective in the second half of games. The Bolts now rank fourth in the NFL in points (27.8) but have been largely inconsistent, with many short drives and turnovers. Philip Rivers has been playing a little bit of hero-ball lately, but he will need to get back to taking what the defense gives him against a very inexperienced Panthers secondary that he should be able to shred this week. A key for the offense will be to keep the interior pressure off of Rivers against a very talented pair of defensive tackles so that he can step up in the pocket and keep plays alive. This will be especially tough if Orlando Franklin isn’t able to play after missing practice late in the week. Melvin Gordon has been more explosive lately, but this week will be a memorable game for him as he is only eight yards away from eclipsing the 1,000 yard rushing mark for the first time in his young career. The Chargers receivers struggled last week as they combined for only 6 catches, but should find much more success this week if the offensive line can hold up. After leading the league in scoring in 2015, the Panthers offense has taken a significant step back this year. The main reason for that decline is the play of last year’s MVP Cam Newton, who has struggled on the year only completing 54.7% of his passes, with 14 touchdowns, and 8 interceptions. Newton still has all of the tools to be successful and should be heavily involved in the running game. He has the second-most rushes for the Panthers this season (68) averaging 4.2 yards per carry. Jonathan Stewart is the Panthers leading running back but he has struggled with injuries this year. He’s averaging only 3.7 yards per rush, but does have seven rushing touchdowns in nine games. Carolina lost two of its starters on the offensive line in Michael Oher, and Ryan Kalil but they should be helped by the fact that they are facing a defense that has only 21.0 sacks on the year. Kelvin Benjamin and Tedd Ginn Jr. are a mismatch every time they’re on the field with Benjamin’s size (6”5’) and Ginn Jr’s pure speed that could give even Travis Benjamin a run for his money. The Panthers also have Pro Bowl tight end Greg Olsen who leads the team with 61 receptions, and should have a good game since the Bolts have had problems with tight ends in past few weeks. The Chargers defense was exploited last week by buccaneers through the air, which has been an a reoccurring theme for the bolts as they are allowing an average of 271 passing yards per game. The secondary has lost its top two corners from last season and has been torched at times, partially due to a lack of pressure. Not even the NFL leader in interceptions Casey Hayward has been able to save them. Joey Bosa has been more involved the past two weeks racking up 1.5 sacks but the team as a whole ranks 27th in the league in sacks, and will need to emphasize finishing tackles as they face another elusive quarterback this week. One giant factor for the Chargers defense will be if inside linebacker Jatavis Brown can suit on on Sunday after being out with a knee injury that has sidelined him for several weeks. Brown has game-changing speed and a knack for making big plays. The Chargers will need to key on Cam Newton’s ability to run the ball this week, because he does it better than any other quarterback in the NFL. The defense will have to stay home and be ready for designed runs. The Chargers have yet to allow a single player to rush for 100 yards this year and has still had some success despite the loss of their anchor Brandon Mebane. A major reason for that has been the emergence Korey Toomer who has double-digit tackles his last three games. Much like the offense, the Panthers defense has been a shell of its former self, allowing the fifth most points per game in the league (26.8) after finishing as the as the sixth best (19.2) in 2015. One thing they have been great at is bringing down the quarterback, amassing 34.0 sacks on the season, trailing only the Denver Broncos in that category. Although Carolina’s ability to get after the quarterback could take a hit if defensive end Charles Johnson (4.0 sacks) and Mario Addison (6.5 sacks) aren’t able to play as both are game time decisions. Another huge loss for the panthers defense, is 2013 Defensive Player of the Year Luke Kuechly will miss his third consecutive game due to a concussion. Kuechly leads the team with 102 tackles and is great in pass coverage, so fellow inside linebacker Thomas Davis will have to have a great game to compensate for Kuechly’s absence. Carolina has sorely missed former Pro Bowl corner Josh Norman this year forcing the panthers to start two rookies at that position. This has proved costly for the panthers as they are giving up a whopping 276.8 passing yards per game, third-worst in the NFL. Interior defensive lineman Star Lotulelei and Kawann short have been a force in the middle all season,combining for 7.0 sacks, and contributing to the league’s seventh best run defense. Chargers head coach Mike McCoy is firmly on the “hot seat” and is coaching to try and keep his job. It will be interesting to see if he can rally the Bolts to a decent record, but even that might not be enough. 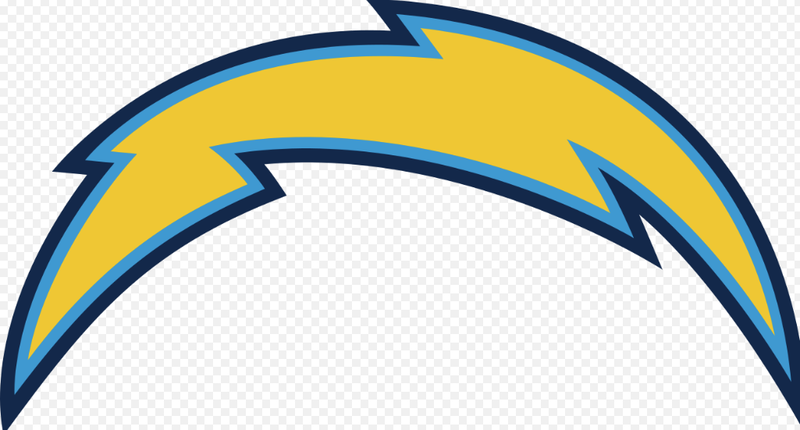 I expect to see a desperate Chargers team on Sunday, but it will be an uphill battle in a hostile road environment. The bolts have yet to show that they have the ability to close games. Panthers win 31-28.